Measurement can be an exciting subject to teach and learn because it has so many real world applications. 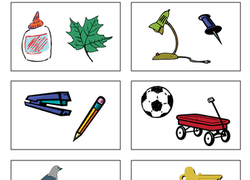 Use these worksheets to introduce measurement concepts and help kids of all ages discover all the ways measurement can help us make sense of the world. Students can explore tools and units of measurements, comparison, capacity, conversion and equivalents, measurement systems, and more! Learning how to measure with a ruler is a skill kids will use throughout their whole lives! 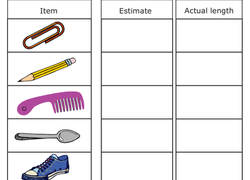 Build measurement skills with this practise page. Help your child practise his skills with measurements with this printable worksheet, which is all about weight. Ready, set, measure! practise measuring in centimeters and inches using your very own paper ruler! Students will measure the length of real objects found around the room in this fun hands-on activity. Calculate the volume of each object using the base and height. Help your child learn the basics of liquid measurement with this worksheet, and then he can try helping out in the kitchen for a hands-on lesson! Gallon Man is a helpful character for understanding measurements. Build him on a new sheet of paper and map out converting a gallon to quarts, pints and cups. Just like people, pencils come in all shapes and sizes. Ask your students to measure the pencils, then calculate the difference in their measurements. Get every drop of basic liquid measurement conversion! The table comes in handy for quick converting later on, too. In this activity, compare the volume of the container with the volume of its contents to calculate how much each can hold. Find the volume for each of five word problems. Help your child practise his skills in measuring with this printable worksheet, which asks him to measure the length of household objects. Help your third grader get to know a few of the common units of length in the American Standard System of Measurement: inches, feet and yards. When at the grocery store, weigh fruit with your child and compare numbers. Was he surprised to see that an item was heavier or lighter? Measure the height of everyone in your family. How much taller are you than your child? Bake a cake and let your child measure the ingredients himself. For kids in the older elementary grades, double or triple a recipe to introduce the concept of proportion and gain experience with fractions. For more practise with this skill, download some of our Fractions worksheets. Break out the paper and markers and draft a blueprint of a fun play space, such as a tree house or a life size doll house. How many square feet would the tree house be?